Free customization! 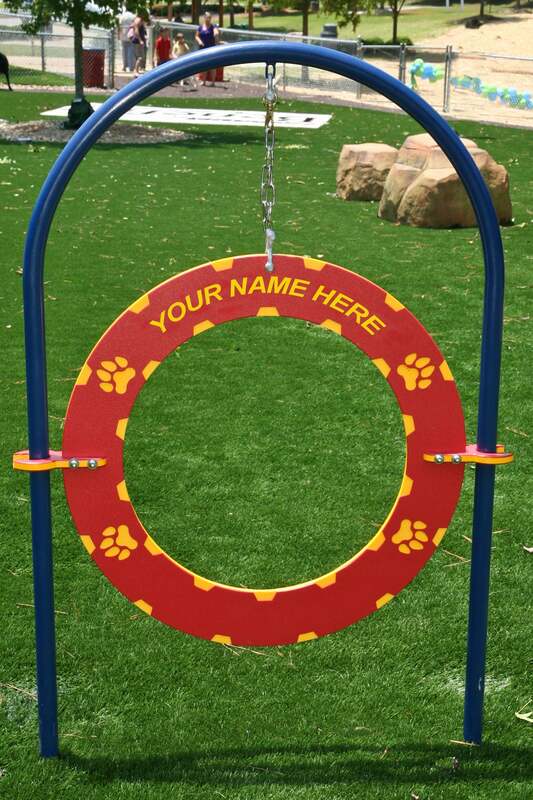 Add your park or community name, or highlight a donor or sponsor. 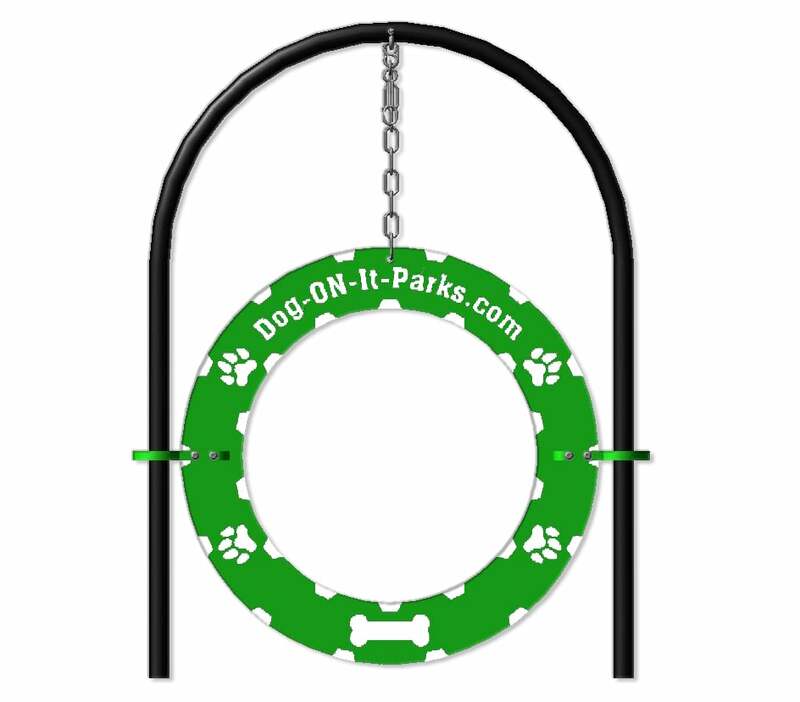 Standard Colors: Red or Green, other color options available for an additional charge. Features 12" of height adjustment. 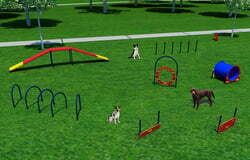 Adjustable pieces of dog park equipment, like our Tire Jump, provide varying levels of height and challenge. 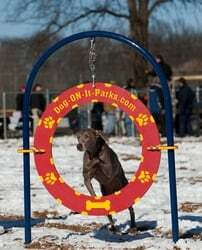 27" interior diameter of the hoop is wide enough for even the largest dogs. The lowest part of the tire opening should be at a comfortable jumping height for your dog, but never higher than your dog’s shoulder. 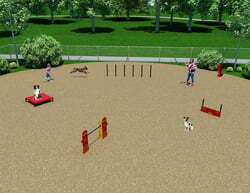 This is a more challenging jump, which some dogs may try to avoid. Always start low and slowly work up to greater challenges while your dog’s confidence grows. 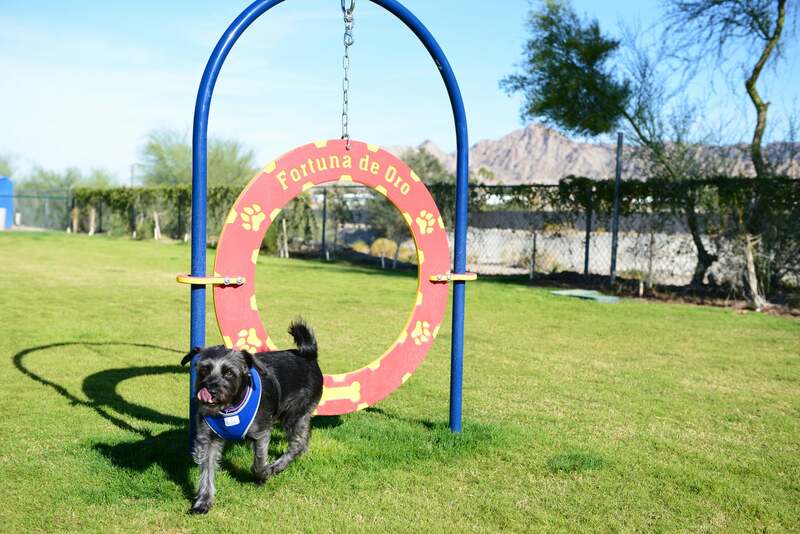 Positive reinforcement helps too! 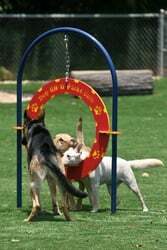 Once your dog has mastered the jump, try doing a series of Figure 8’s, so that your dog jumps through the tire, then immediately turns around to jump through going the opposite direction. 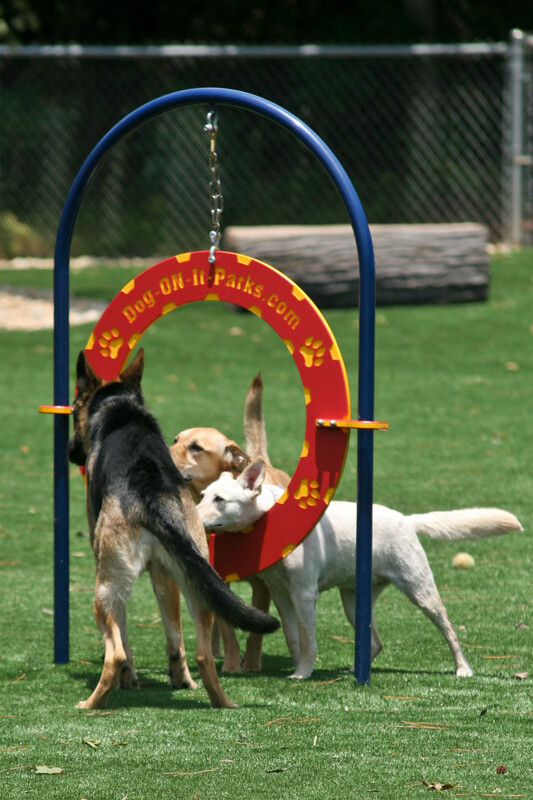 Tire is precision-machined with fun paw details to aid with depth perception. Height can be easily adjusted by using the heavy-duty brass clip at the top. 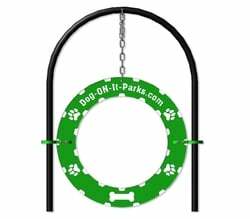 Features 100% recycled HDPE hoop and 80% recycled, rust-proof aluminum support arch. All hardware is vandal-resistant stainless steel. Chain is hot-dipped galvanized steel with a quality brass connection clip.